As part of our ongoing Modern Entrepreneurs series, we feature Mississauga's Danielle Campbell. We are proudly celebrating six years in business on April 1st. 2. What inspired you to start Danielle Campbell Design? I am passionate about providing tailored design solutions. After working eight years in the industry for other Architecture and Interior Design firms, I was motivated to deliver a superior product in a thoughtful, methodical way, driven by client needs and aesthetic. I wanted to remove the disconnect between interior designer, contractor and client. It is important that we provide unique, high-quality solutions for their home or business. 3. What exactly does Danielle Campbell Design do? We provide full-service Interior Design, Architecture and Project Management for residential and commercial projects. If you are renovating, building new, developing a brand, executing a roll-out of an existing brand, or simply need a refresh of an existing space, we are here to help design, price, build and manage whatever project you’re undertaking. 4. What's been your greatest achievement as an entrepreneur? 5. What are three primary obstacles you face as an entrepreneur? Differentiating our services from kitchen designers, developers and the like. Being hired after the contractor; it is important your design team is hired first. 6. How do you overcome them? 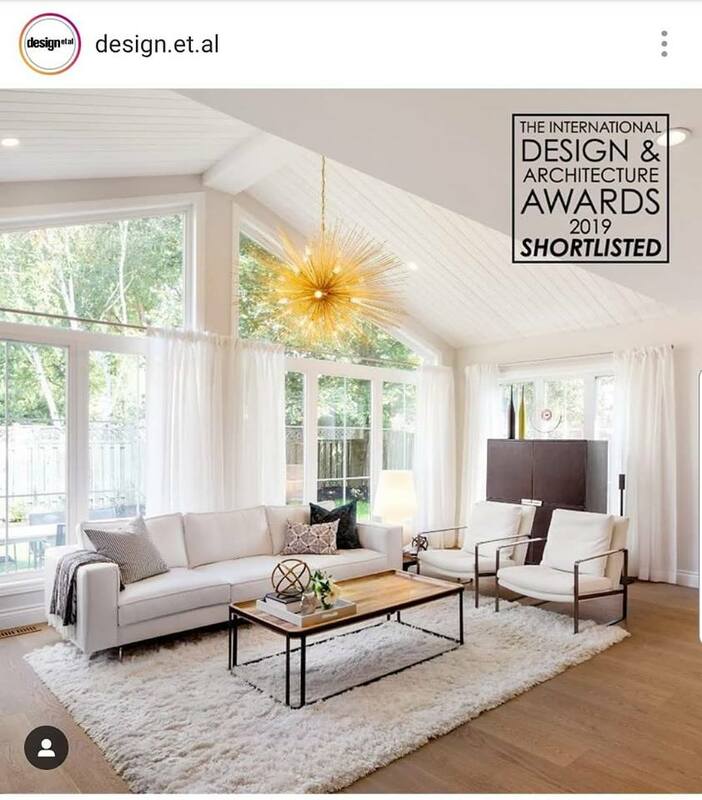 Using all available platforms to educate the general public about what a Licensed Interior Designer does and how to recognize when people offering ‘design’ services are not qualified to execute their project. Many of the TV ‘designer’ personalities are not licensed professionals. It is the equivalent to portraying a lawyer on TV and then telling everyone you are capable of practicing law off set. I went to Sheridan College and obtained an Interior Design diploma. Upon completing my education, I went through a four-year internship and then wrote an intense series of exams on life safety, building code and construction management. Passing these exams gave me NCIDQ certification and Registered ARIDO member status. When hiring an Interior Designer to execute a construction project they should have these qualifications. It is important to ask for verification. 7. What specific advice do you have for other business owners? Set goals. Stay flexible in how they are achieved but never lose sight of them. 8. What do you know today that you wish you knew when you started your business? You cannot do everything yourself. It’s important to find your tribe and trust in the strengths of others. 9. What trends do you predict for your industry over the next two years? Purposeful design that can support real life. Trends come and go. The key is to continually use what the market has to offer and build a deeper connection between people and their environment. 10. Why did you pick Mississauga for your business? Mississauga has a vibrant community with an abundance of unique and creative business opportunities. We work for families as well as small and large commercial outlets in a self-sustaining city. There is much growth and development planned for the near future. I wanted to be part of that. To help shape the future Mississauga one home or business at a time. 11. What is "success" to you? Happiness. Waking up every day, making a conscious decision to surround yourself with people and tasks that evoke happiness. That is success. 12. What's been your one favourite moment of being an entrepreneur? Client move in day. I am lucky in this industry as my favourite moment is relived with each completed project. There is something rewarding about handing over a set of keys to satisfied clients.